A project to build a 100Gbps, 20,000km long submarine cable system connecting Europe to Singapore has been backed by 15 operators from around the world. Infrastructure vendors NEC and Alcatel-Lucent will be supplying the equipment, with NEC deploying the segment spanning Singapore to Sri Lanka, and Alcatel-Lucent deploying the stretch from Sri Lanka to France. The South East Asia-Middle East-Western Europe 5 (SEA-ME-WE 5) system is planned to reach 17 countries including Indonesia, Thailand, Malaysia, Myanmar, Bangladesh, Sri Lanka, UAE. Yemen and Saudi Arabia. The project has been backed by Bangladesh Submarine Cable Company Limited (BSCCL), China Mobile International, China Telecom Global, China United Network Communications Group Company, Emirates Integrated Telecommunications Company, Orange, Myanmar Post and Telecommunications, Saudi Telecom Company, SingTel, Sri Lanka Telecom, TOT, PT Telekomunikasi Indonesia International, Telecom Italia Sparkle, Telekom Malaysia Berhad and Yemen International Telecommunications (TeleYemen). “As more data, applications and services move to the cloud, we need a more dynamic and agile way to serve end-users according to low-latency and quality-of-service that cannot be solved by bandwidth alone,” said Linette Lee, chairperson of the SEA-ME-WE 5 Management Committee. The Broadband Asia conference is taking place on the 29th-30th April 2014 at the Suntec, Singapore. Click here to download a brochure. 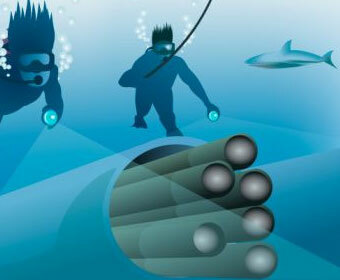 The carrier services arm of operator Telecom Italia, TI Sparkle, announced its investment into a submarine cable system. The firm said that it has signed all relevant contracts and is among the initial investors for the project. Elisabetta Ripa, CEO of TI Sparkle explained that as a relevant share of the firm’s business is generated in the areas connected by the cable system, the firm’s investment in SEA-ME-WE 5 allows it to secure a leadership position in the Asia to Middle East and Europe route. “Moreover, our participation to SEA-ME-WE 5 will enhance Sparkle’s customer proposition with a diversified and low latency route to and from Asia, thus strengthening further Sparkle’s role as major cable landing hub in Europe and the Mediterranean,” she added.